Can I change the keyboard shortcuts used when playing back content in SnapStream so that they are similar to what I'm used to in Avid or Premiere? Yes you can! 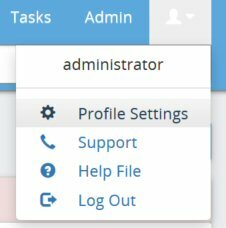 This is a new feature available in our 9.1 software and can be adjusted from the SnapStream User Profile Settings page. Sign into the SnapStream Web Interface and click the profile icon in the top right corner of the page > Profile Setings. Change the Shortcut Type from the default (SnapStream) according to your preference and click the Save button. Alternate options are Premiere and Avid. This feature is only available in SnapStream Software version 9.1 and above. The full list of keyboard shortcuts for each shortcut scheme are below.